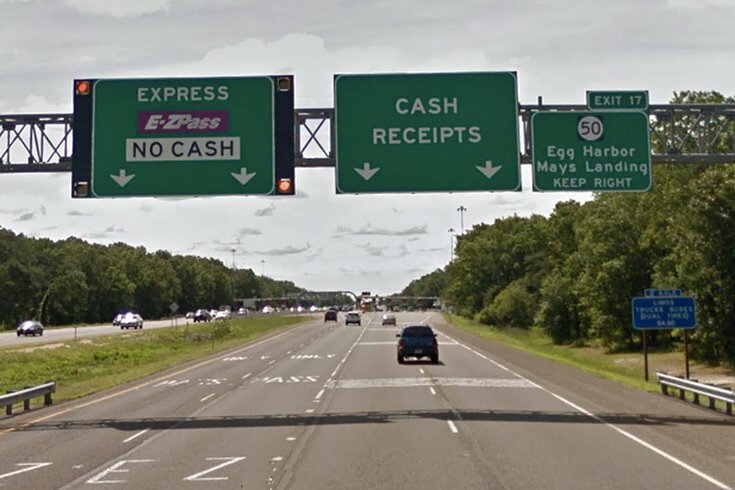 Signs indicate the eastbound approach to the Egg Harbor Toll Plaza on the Atlantic City Expressway. If you are heading for the Jersey Shore on Friday afternoon for the long Memorial Day Weekend, you may want to time your arrival at the Egg Harbor Toll Plaza for between 5 and 6 p.m. If you hit the sweet spot – it is the heaviest traffic time of that day – your $3 toll will be picked up by the folks at Chickie's & Pete's, the local restaurant group with sports bars throughout the region. Chickie's, perhaps best known for its Crabfries®, will pay tolls for Atlantic City Expressway motorists at the plaza for the 5th straight year in an effort to honor the family military tradition of founder and CEO Pete Ciarrocchi. Leave the house early and stop at Chickie's Free Family Fun event at the Frank Farley Plaza, just west of the Egg Harbor Toll Plaza. Try free Crabfries and Herr's/Chickie's & Pete's Sweet and Crabby Kettle Corn. There will be appearances by The Philadelphia Soul Cheerleaders and their mascot Soul Man, plus entertainment.